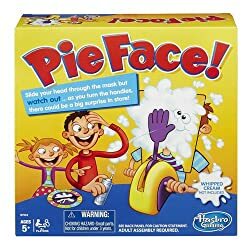 Our take: We are huge fans of educational toys that the whole family can enjoy, and this one fits the bill and then some. 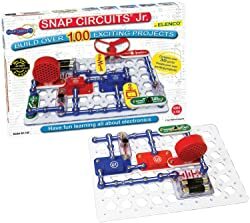 Snap Circuits makes amazing electronic kits, and this Jr. version is the perfect one to introduce all girls and boys to how electronics work. The basic kit comes with over 30 parts that snap together, and has easy to follow instructions on how to build over 100 different projects. This is a great set for the whole family to work on together as you build a musical doorbell, a flying saucer, a voice-controlled lamp, some various electronic games and many more exciting projects! The best part is, the kit is completely upgradeable to the larger sets, so nothing is wasted if you want to go bigger later! Our take: Blokus looks like some sort of Tetris game from the outside, but once you open it up, it's something entirely different. Everyone starts with 21 different shaped pieces, with each player having their own color. On a basic level, the goal is to try and place as many pieces as possible before any player gets stuck and is unable to place any more. Count up the the squares on the unplayed pieces, and whoever had the least left wins! But, Blokus has a lot more depth to it, and is really a game about strategy. Things start to get tricky when you realize that you can't place your own pieces directly next to each other, but instead can only let their corners touch. Do you hold on to the smaller or bigger pieces until the end, when the board is filled and it's harder to place them? Do you fill up empty areas to defend against other players moving into your territory, or do you go on the offense and attack other player's areas making it harder for them to defend theirs? 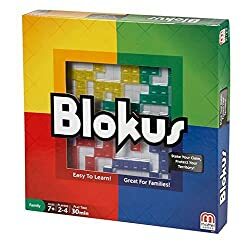 Our five year old daughter soon learned that she needed to concentrate on both, and we quickly realized that Blokus is not only fun... but, great for the mind, too. Huge thumbs up on this game from us! If you end up with these gifts on your wish list, we hope you enjoy them as much as we did!